.,. 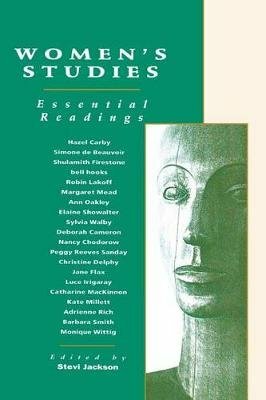 "No mere collection, but a wonderful synthesis of some of the best and most representative works of modern feminist scholarship, reflecting the richness and diversity of contemporary women's studies. It provides an informative and empowering perspective on feminist scholarly achievements of the last decades." --Dale Spender, Founding member of WITS (Women, Information, Technology, and Scholarship), is author of more than 30 books, including "Feminist Theorists: Three Centuries of Key Women Thinkers" and "For The Record: the Making and Meaning of Feminist Knowledge." "A stimulating introduction to women's studies and a really useful teaching tool." Features: Introductions to each section provide an overview of the main issues and debates. Commentaries on each extract locate the work of individual authors within wider debates and identify the perspective from which they are writing. Each sectioncontains a guide to further reading.